Hauser founded Manhattan Transfer, who released their debut album in the early 1970s and launched hits such as “Operator" and “The Boy from New York City." They went on to win multiple pop and jazz Grammy Awards. Their critically acclaimed album, 1985's “Vocalese," earned a whopping 12 Grammy nominations. Alan Paul, Janis Siegel and Cheryl Bentyne - who joined in 1978 and replaced Laurel Masse - rounded out the foursome. “Tim was the visionary behind The Manhattan Transfer," they said in a statement. “It's incomprehensible to think of this world without him." Hauser first formed Manhattan Transfer in 1969 with Erin Dickins, Marty Nelson, Gene Pistilli and Pat Rosali. They disbanded and Hauser met some of the band's new members as a taxi driver in New York City. He met a conga player while driving who introduced him to Siegel and he also met Masse while driving. Manhattan Transfer will continue their upcoming tour despite Hauser's death. Their next show is Oct. 23 in Manchester, New Hampshire. 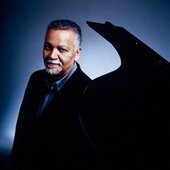 Influential keyboardist Joe Sample, who helped push the boundaries of jazz and funk as a member of the Jazz Crusaders, died Friday in Houston. He was 75.. Sample's career with the Jazz Crusaders began as a hard bop group in Texas in the late '50s before the group migrated to the West Coast, releasing a string of hit albums that began in 1961 with "Freedom Sound." Teamed with saxophonist Wilton Felder, drummer Nesbert "Stix" Hooper and trombonist Wayne Henderson (who died this year), Sample helped lead the group toward mainstream success with a blend of jazz, funk and R&B, a sound that eventually led to the group dropping "jazz" from their name in 1971 and becoming the Crusaders. Some of Sample's hits with the Crusaders include "Soul Shadows," "Put It Where You Want It," and 1979's "Street Life" (with vocals by Randy Crawford) before the group broke up in 1987. Sample went on to a successful solo career that also yielded high-profile collaborations on recordings with Marvin Gaye, Lalah Hathaway, Steely Dan, BB King and Anita Baker. His playing also made an impression on modern hip-hop, with samples of his work appearing on a variety of tracks, including Tupac Shakur's "Dear Mama." "I try extremely hard not to play the same way that I did in the '70s," Sample told The Times in 1992. "Once I start playing like that, I feel like I'm dealing with ghosts. I feel like I'm washed up, finished, and done, like I have no future at all. The future is always trying to figure out what I am going to do next." Sample's manager, Patrick Rains, confirmed to the Associated Press on Saturday that Sample died as a result of complications from lung cancer with his family at his side. He is survived by his wife, Yolanda, and son, Nicklas, who is also a musician. Charles Edward “Charlie” Haden (August 6, 1937 – July 11, 2014) was an American jazz double bass player, known for his long association with saxophonist Ornette Coleman, pianist Keith Jarrett, and his Liberation Music Orchestra, a group he co-led with pianist Carla Bley. Haden was born in Shenandoah, Iowa, and was raised on a farm. His family was exceptionally musical; they performed together frequently on the radio, playing country music and American folk songs as the Haden Family Band. Haden was musical from an early age, and made his professional debut as a singer, when he was two years old, on the Haden Family’s radio show. He continued singing with his family until he contracted a bulbar form of polio around his throat and facial muscles when he was 15. The polio damaged his throat muscles and vocal cords, and as a result, Haden was unable to control his pitch while singing. At age 14, before he had contracted polio, Haden had become interested in jazz, and began playing his older brother’s double bass. He developed this interest after he lost the ability to sing. Haden’s interest in the instrument was not sparked by jazz bass alone, but by the classical bass he heard frequently on the radio. He was particularly fascinated by the bass he heard in compositions by Bach. Eventually he set his sights on Los Angeles, and to save money for the trip took a job as house bassist for ABC-TV’s Ozark Jubilee in Springfield, Missouri. Robert Dwayne Womack (born in Cleveland, Ohio, USA on March 4, 1944, died June 27, 2014), was an American singer-songwriter and guitarist. Working in the soul and R&B genres, he achieved his greatest success in the 1970s and 1980s. Womack wrote and originally recorded The Rolling Stones’ first UK No. 1 hit, “It’s All Over Now” and New Birth’s “I Can Understand It” among other songs. As a singer he is most notable for the hits “Lookin’ For a Love”, “That’s The Way I Feel About Cha”, “Woman’s Gotta Have It”, “Harry Hippie”, “Across 110th Street” and his 1980s hit “If You Think You’re Lonely Now”. In 2009, Womack was inducted into the Rock and Roll Hall of Fame. 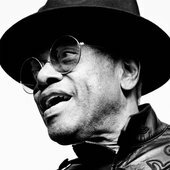 Taking after their father, who sang gospel music, Bobby Womack and his brothers formed their own group in 1952. In 1954, under the moniker Curtis Womack and the Womack Brothers, the group issued the Pennant single, “Buffalo Bill”. Bobby Womack was only ten years old at the time. Sam Cooke took an interest in the Womack Brothers, and they recorded for Cooke’s SAR record label in the early 1960s. Renamed the Valentinos, and encouraged by Cooke to go in a more secular and commercial direction, they scored a hit with Womack’s “It’s All Over Now” in 1964; the Rolling Stones’ version of the song became a major hit, earning Womack generous royalty payments. Womack died on June 27, 2014 at age 70. He is known for his distinctive humorous and funky playing style, and for his pioneering contributions to hard bop. Silver was influenced by a wide range of musical styles, notably gospel music, African music, and Latin American music. Silver began his career as a saxophonist, but later switched to piano. His playing was highly influenced by the style of Bud Powell. 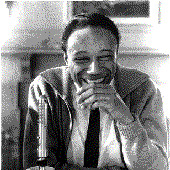 Horace Ward Martin Tavares Silva was born to a Cape Verdean father of mixed Portuguese-black descent and a mother of Irish and African descent in Norwalk, Connecticut. He was discovered in a Hartford, Connecticut club by saxophonist Stan Getz. He moved to New York, where he teamed with Art Blakey. In 1952 and 1953 he recorded three sessions with his own trio, featuring Blakey on drums and Gene Ramey, Curly Russell and Percy Heath subsequently taking up the bass. The drummer-pianist team lasted for four years; during this time, Silver and Blakey recorded at Birdland (A Night at Birdland, Blue Note) with Clifford Brown and Lou Donaldson, at the Bohemia with Kenny Dorham and Hank Mobley, and finally - in the studios. One of the studio albums was the famous The Jazz Messengers. During Silver’s time with Blakey he rarely recorded as a leader, but having split with him in 1956, he formed his own hard bop quintet, at first featuring the same lineup as Blakey’s Jazz Messengers, with 18-year-old Louis Hayes subbing for Blakey. Paco de Lucia, the influential Spanish guitarist who vastly expanded the international audience for flamenco and merged it with other musical styles, died suddenly on Wednesday of a heart attack in Mexico. “I learned the guitar like a child learns to speak," the guitarist said in a 2012 documentary. Born Francisco Sanchez Gomez, he became famous in the 1970s after recording bestselling album “Entre Dos Aguas", becoming the first flamenco musician to perform at Madrid's opera house Teatro Real in 1975. Paco's albums such as “El Duende Flamenco de Paco de Lucia" and “Almoraima" reinvented traditional flamenco. He toured extensively with well known international artists and played with the likes of Carlos Santana and Al Di Meola, happy to expand flamenco rhythms into jazz, although that upset flamenco purists. “It has been said, and rightly so, that Paco de Lucia has never been surpassed by anyone and guitar playing today would not be understood without his revolutionary figure," Spain's arts association SGAE said in a statement. De Lucia went on to record flamenco jazz fusion with Di Meola and John McLaughlin in a series of now legendary concerts, and also recorded with Chick Corea. He was highly acclaimed after playing Joaquin de Rodrigo's “Concierto de Aranjuez" at London's Festival Hall in 1991, attended by the composer himself, and considered one of the best interpretations of the piece. Ronny Jordan, a guitarist and leading player in the acid jazz movement of the '80s and '90s, has died. He was 51. The guitarist's death was confirmed on Facebook today (Jan. 14) after Jordan's siblings set up a page in his honor. "We appreciate that Ronny has got many fans around the world and so we ask that you keep an eye out for further announcements in relation to his funeral arrangements," Jordan's brother and sister, Rickey and Denise, wrote on the page. Born Nov. 29, 1962, in London, Jordan rose to prominence due to his standing in a subset of jazz known as acid jazz, which blends its parent genre with elements of soul, disco, hip-hop and funk -- though Jordan called his contributions "urban jazz." The musician's career took off with 1992 solo album "The Antidote," as well as a spot on 1993's "Guru's Jazzmatazz, Vol. 1," Mojo writes. His 2000 album "A Brighter Day" hit No. 10 on Billboard's Jazz Albums chart, while the song "A Brighter Day," featuring Mos Def, peaked at No. 20 on Rap Songs. Later in his career, Jordan's claim to fame was his 1993 song "The Jackal," which was lip-synched by actress Allison Janney on the "Six Meetings Before Lunch" episode of "The West Wing" in 2000. His 2000 release, A Brighter Day, was nominated for a Grammy award in the Best Contemporary Jazz Album category. "Ray (AKA My Cousin Ray) is best known now as a radio broadcaster and music aficionado and collector and has a massive soft spot for jazz."